* Total number of reviews and star-ratings are based on data collected during the time period Greenwood Heating and A/C has been using the ReviewBuzz system and may not directly match the data found on each public review site. I ordered 3 Heating/Cooling units from Greenwood Heating and Cooling. Co. Volodymyr and Will came to my home and installed the units. They were on time and very efficient in their installation. Each day they worked the entire day and were pleasant and hardworking.They made sure my house and yard was clean and all materials were put away when they finished. Volodymyr went over how the units worked and tested them when they were finished. I would highly recommend them they do excellent work. Very responsible and professional team. We replaced our furnace and added a heat pump. The main crew (Saif and Mason) did an excellent job. The electrician team were in and out quickly, and also did outstanding work. Everyone arrived when they said they would; and stayed until everything was done. I highly recommend Greenwood Heating & Air to anyone looking for a quality product, professional installation, and great value for the future. From sales to inspection, Greenwood Heating was amazing! Professional, clean, organized and efficient! We couldn’t be happier with the exceptional service we experienced with Tony and Francisco. They were on time, efficient, courteous, friendly, and professional. They know the products they install and we able to answer all our questions. We highly recommend Greenwood Heating and Air Conditioning for your HVAC needs. 5+ Deena S.
Sean was completely professional. I have worked with many contractors over the years and I can easily say that Sean was one of the rare top few. The job was done on time, professionally, and the job site was left impeccably clean. I highly recommend using Greenwood Heating and Air, and highly recommend Sean. Prompt, courteous, expert service. Work site was completely cleaned up. Abinesh was here last week to service my furnace and AC unit. He remembered me from last year when he helped install my new furnace. He always has a smile and a very pleasant person. he arrived on time and went to work. explained everything as he did it, also very thorough. I'm very happy with Greenwood Heating. technicians and customer care. John did an excellent job leading the Greenwood team installing my mini-ductless system into my condo. He was efficient, careful, knew his stuff and finished on time, leaving my home as clean as when he started. I highly recommend John. We have multiple mini splits installed by John Brown and a few other technicians. All were very professional. John always kept me up to speed with what they are doing and why. After the install was complete John took time to explain and demonstrate how they work including a demo of all modes and maintenance of filters. Highly recommend Greenqood Heating and a/c and if you have the option, ask for John Brown. He was amazing! Excellent experience from beginning to end. Very professional, fair price, showed up when they said they would. We had a minisplit zone system installed and noticed a difference the first day. Tony and Francisco were meticulous and made sure everything was clean. They communicated everything they were doing. Tony and Francisco were top notch installers. Would highly recommend Greenwood Heating & Air to anyone. Quinten is my new favorite Service Tech. We recently utilized Greenwood Heating and A/C to install a new Heat Pump and Air handler. Trevor was super knowledgeable and patient with helping us decide on the right equipment to get our desired outcome. The installation team of Kalen H and Jesse were prompt and very respectful of our home/property. They demonstrated great skill and knowledge about the project. They worked tirelessly to ensure proper installation. They were very patient when educating me on how the new systems operates. Overall we had an amazing experience throughout the entire process. We will use this company again for future HVAC needs and recommend this company to everyone! Kalen H. did a terrific job on the furnace install and Abinesh was courteous and efficient with the duct cleaning. I would highly recommend Greenwood heating to any friend that needed furnace work. Their prices are competitive and they are thorough and efficient. Juan B****** was the sales rep. and he followed the entire operation and checked in with me frequently. OUTSTANDING COMPANY to do business with! Chris and Carlos were super friendly and efficient, got everything running smoothly and cleaned up in no time! Trevor set us up with an excellent package and price. Thank you! John B**** was our installer and he did a great job! He was very professional, answered all of our questions, and got it all done in one day. The product is great and we will let our friends and neighbors know how much we like it. Also, John L**** was the person that reviewed our needs and gave us the quote. We had a piece of equipment that John and I thought would still work but it wouldn't. John let me know that but also told me the quote stands with no cost increase. The customer service we got from both Johns was above and beyond. Thanks again for you great services! Greenwood Heating and A/C Team . Customer service is always a top priority at Greenwood Heating and A/C. Our BBB Membership rating is like a badge of honor as we continuously strive to provide the best experience for our clients. 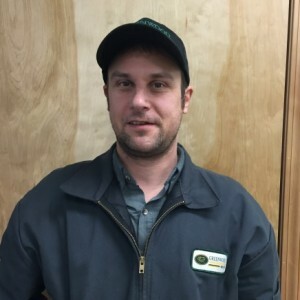 Reggie D has a 5-Star rating and leads the company in total reviews, making this pro a ReviewBuzz Rockstar! Very impressed with Greenwood's responsiveness when our furnace stopped working (same day appt) and the professional work Reggie (our technician) did to repair and advise us on future maintenance options. We will definitely use Greenwood going forward. Great service from Greenwood Heating and Air. John, Thomas and Zach arrived early in the day to put in the new furnace. I was so grateful for their fast and efficient service. I also noted several others who were helpful getting heat back on! 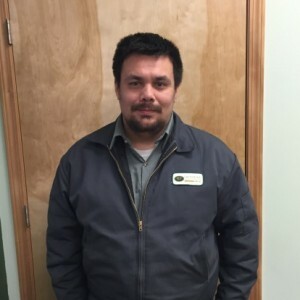 Reggie D. serviced my furnace and provided excellent customer service, explaining all I needed to know about maintenance and the functioning of the furnace. I haven't had my furnace serviced in 10 years and when it went out, Reggie was there to help. His expertise allowed him to quickly identify the problem and replace a part. He was polite, courteous, and provided excellent coaching and tips to avoid future issues. Overall his customer service was phenomenal! Reggie is a true professional. He was patient in explaining to me what was going on and what he was looking for while servicing the furnace. His knowledge and ability to convey what he knew in such a conversational manner instilled confidence and made me at ease. 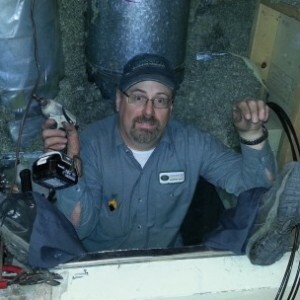 If you have the chance for Reggie to work on your furnace you'll be in great hands! 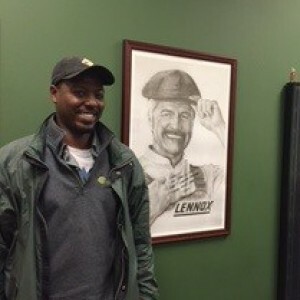 Reggie came and did service/maintenance for the furnaces in two houses. He was punctual, friendly, and articulate in explaining all aspects, and was also helpful in coordinating an appointment to get an estimate for a new furnace. Great work! I had my first annual service for my furnace and it was a very good experience. Reggie walked me through everything he did, patiently provided me training on use of my thermostat and was genuinely kind. Great customer service! Class act from beginning to end. Gracious, polite upon arrival, receptive to all questions, did his job and was gone. Bam! As it could be, as is should be , as it was! Reggie was incredibly helpful, very knowledgeable, and even more friendly! Thanks Reggie for all your help! Great Service and was able to get to us early! Reggie came on time and did a great job! Very personable and provided detailed information regarding our heating problem. Reggie came to my house on a service call. He was the most pleasant part of my entire day. He is a very professional, kind, and attentive employee. He listened well to my explanation of the problem, serviced the heater, fixed the problem, and explained it to me. What else could anyone ask for? Sure appreciate his work. thanks! Reggie was on time, courteous, extremely knowledgeable. He took the time to explain the heating system to me. Reggie was amazing--incredibly knowledgeable, professional, and friendly! I called Greenwood Heating for annual furnace maintenance and requested an appointment online. On the day I scheduled, Reggie called to check if he could show up early. He was professional and courteous, and kept me well informed. He made sure to explain what he'd be doing and what red flags he'd look for. Since I have an older furnace he walked me through what to expect down the line. Reggie did an excellent job fixing my heat pump. He quickly diagnosed the problem and replaced the broken part. He did not try to upsell. Overall, Reggie was highly competent, patient, professional and personable. 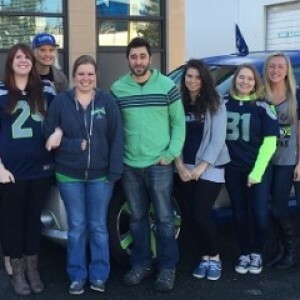 Reggie arrived on time, was courteous, efficient and professionally represented his company. We had our maintenance scheduled and completed within two days. My Daikin mini-split needed attention - called Wednesday evening and the issue was fixed by Friday morning. Technician Reggie D. was an all-star - on time (early, in fact), courteous, kind, knowledgeable - in short, a total professional.